A Coronary Angiogram or ‘angio’ is a special x-ray of the heart’s arteries in order to show if they are narrowed or blocked. * For all procedures requiring overnight stays, please ensure you bring with you night attire, including dressing gown, non-slip slippers and toiletries. Local anaesthetic is injected into the point where the catheter is introduced, typically in the wrist, groin or arm. Relevant catheters will be replace to study various arteries. A standard procedure coronary angiogram takes roughly about 30-40 minutes. In most circumstances you will be discharged between four to six hours after procedure. * Some symptoms of injecting dye include nausea or chest discomfort. These symptoms are common and subside quickly. ^ In time, x-ray dye passes through the kidneys and is excreted in your urine. Patients undergoing this procedure may be required to stay overnight with discharge being the following day. * It is important to discuss with your Cardiologist instructions for dressing removal and wound care. Once the dressing(s) has been removed it will require little care. Keep clean and dry and avoid using powder. Check wound daily and report any possible signs of infection to your Cardiologist promptly. Depending on your procedure, time and recovery you will be discharged the same day or early the next morning provided you’re accompanied by an consenting adult. Your cardiologist will arrange a follow up appointment prior to discharge. Although serious problems are rare, as with any medical procedure there are always some risks involved. Every effort is made to minimise your risk, though should complications arising from you procedure occur, emergency equipment is readily available. It is usual for most patients to have bruising and tenderness at and around the catheters insertion point for a few days following procedure. Infection is rare, however if infection does occur it is usually contained to the area of skin overlying the catheter insertion point. Any infection will be treated with the appropriate antibiotic. 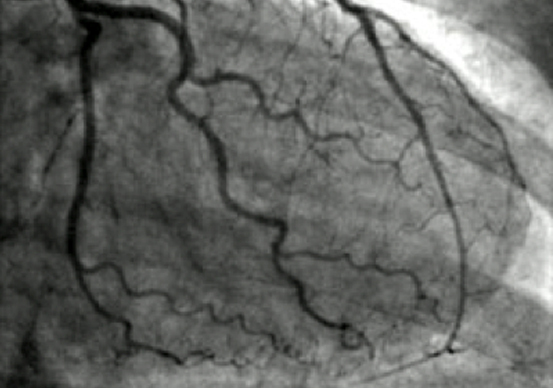 A dye, or ‘Contrast’ is used to enable the coronary arteries to be seen using x-ray. Minor reactions can result in hives and rare occasions where a dramatic fall in blood pressure is evident, shock. Risk to patients with no previous reaction to contrast dyes extremely low. Inform your Cardiologist if you have had any previous reaction to contrast mediums. In rare cases, coronary angioplasty can cause the artery to become completely blocked or rupture. In this situation an emergency coronary artery bypass operation would be performed. In extreme cases, patients may endure cardiac arrest during this procedure. Rest assured your Cardiologist is well prepared to deal with this situation.